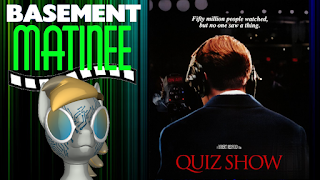 At various points in time, game shows, in particular quiz shows on television become incredible popular, often due to the ‘drama’ that is created within the theatrics of the show in order to lure in viewers, some recent examples of these include Who Wants To Be A Millionaire & The Weakest Link, which during their initial runs were the hottest shows on American Television… and when their popularity eventually faded the shows were either dumped into mid-day syndication or canceled out right. Now turn back the clock to the 1950s, same thing was occurring with a show called 21 which aired on NBC, using various theatrics during the ‘game’ to create a sense of drama, but at the same time ‘rigging the game’ by ensuring a desired person won in order to keep ratings high and money from sponsors coming in. 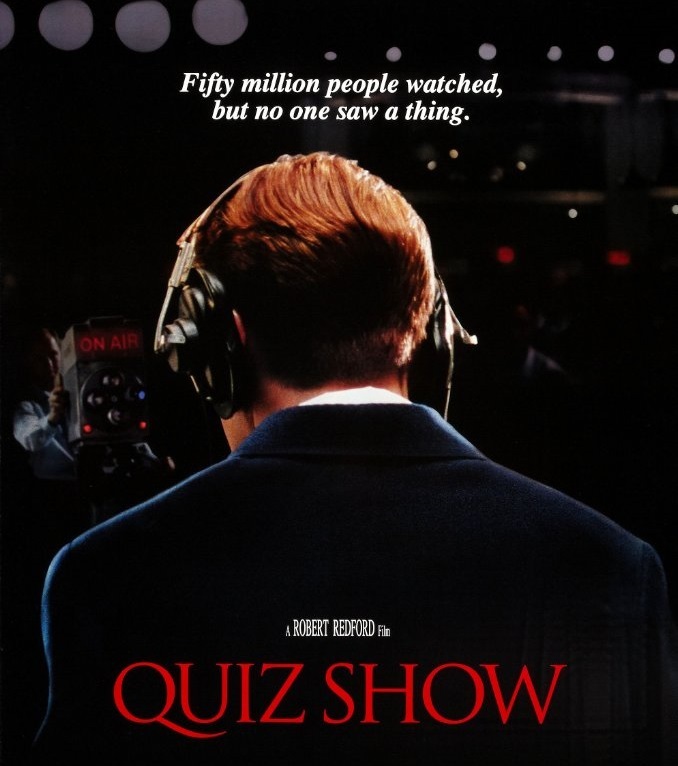 It is those real events involving the likes of Herb Stempel and Charles Van Doren who became the ‘faces’ of scandals involving the business of Quiz Shows, which serves the bases for the 1994 Film ‘Quiz Show’ directed by Robert Redford. The film itself condenses a lot of history and re-works certain elements for the sake of drama and presenting a narrative, but from what I read it paints fair picture of the mindset of network executives of NBC who wanted to keep 21 strong in the ratings by replacing Stempel with Van Doren for the simple fact that Van Doren was a ‘prettier face’ for television while having the education credentials to cover up the fact they were supplying him the answers just like they did with Stempel. We are also presented angles showing Stempel feeling betrayed by the network, Van Doren and his crisis of conscience, as well as the investigation process that lead to congressional hearings in 1959. Of there I can’t just end this without giving my opinion on the Quiz Show scandals, and there is a line in the film at the very end that explains, ‘it’s entertaining, they are in show business’. 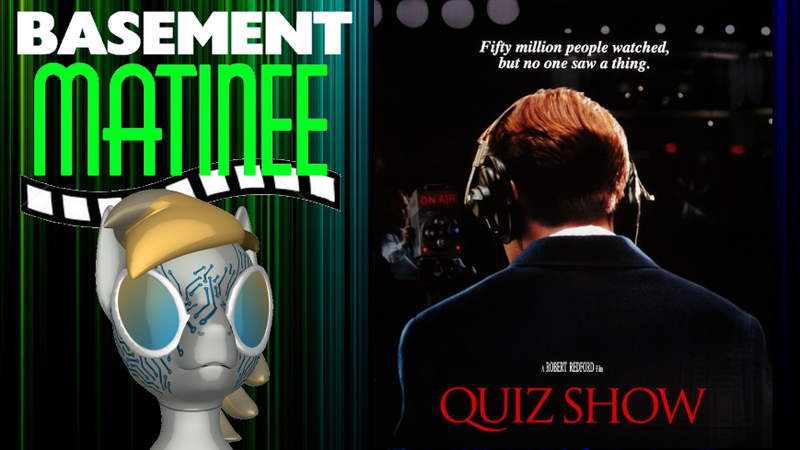 And yes the program may have seen two contestants answering quiz question on a show… but the key word is ‘show’. I don’t think the executives at NBC and behind the show 21 (and other quiz shows on the other networks who got caught up in the scandal) because the laws at the time did not cover putting on a performance under the context of a contest. It wouldn’t be until 1960 where a bill was signed into law preventing the fixing of any contest or game with intent to deceive the audience to ‘prevent’ this from happening again, though I do have my doubts about that.